For some, an eight-year hiatus from the music industry can mean total extinction. 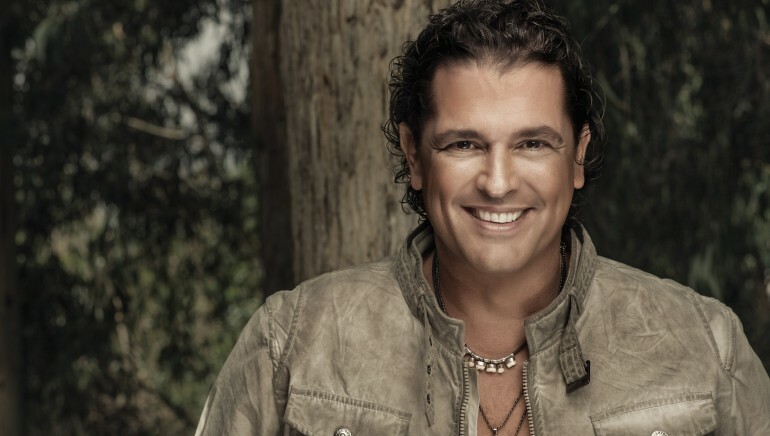 For BMI songwriter Carlos Vives, it meant exactly the opposite: a rebirth. The 51-year-old Colombian superstar’s formidable comeback in 2013 is a testament to his timeless sound, his growth as a songwriter and his newfound love for life and music. Flashback to 2004, and Vives was one of Colombia’s hottest musical exports, along with his compatriots (and fellow BMI members) Shakira and Juanes. The work that he and his band, La Provincia, started in 1994 on his breakthrough album of vallenato standards with a modern twist, Clasicos de la Provincia (Classics From the Province), was finally paying off in a big way. He had a GRAMMY under his belt, he could easily sell out arenas across the United States as well as abroad and the sound he created – tropical pop or tropi-pop for short – dominated the airwaves. Life at home was equally great; Vives was happily married with two kids. But things took a turn that same year. His marriage to Puerto Rican actress, Herlinda Gomez, dissolved and his longtime contract with EMI came up for renewal. When a deal couldn’t be reached, the label let their option expire. According toBillboard, this may have had something to do with the fact that the label was undergoing ownership and management changes around the same time – among other factors. When his management at the time failed to reach a new deal with another record label, Vives retreated from the spotlight in his home country, played the occasional local concert, created children’s music and opened up a nightclub. Happily married to former Miss Colombia Claudia Elena Vasquez, he expanded his family while also writing and producing for other acts. Nearly a decade later, with music industry veteran Walter Kolm as his new manager and Vasquez as his closest advisor, Vives is hotter than ever. Under a new record deal with Sony Music Latin, Vives released his latest album, Corazon Profundo (Deep Heart), in April 2013. The work debuted atop Billboard’s Top Latin Albums chart led by the hit single, “Volvi a Nacer” (Born Again). Add to that his recent stint on the Colombian TV edition of The Voice and a worldwide tour that kicks off this month in Panama, and it’s safe to say Vives is back. BMI chatted with Vives via phone about his big comeback, just weeks before he kicked off his tour. 1. What was the biggest lesson you learned during your hiatus? After having worked inside the music industry in the traditional sense, I found myself outside of the scene, but my attitude toward my work never changed. I kept on working with the same intensity and willingness to elevate what we [Vives and his band] had started to build back in the day. It’s a journey that never stopped. It took me some time to understand that a lot of things in the industry had changed and it wasn’t so easy to keep on going after my contracts ended, so the important thing was to never lose sight of the compass pointing north and to keep on working; to remain united with the band. During that time, I also wrote songs and collaborated with a lot of these artists who are part of what I call ‘the new Colombian wave.’ There’s a new generation that appreciates us and values the work that we’ve done, so that kept us going. 2. Within that newer generation, who are some of the artists that you really connected with? Colombia is a really diverse country. You’ve got the Caribbean influence, the sounds of the Pacific coast – of acts likeChocQuibTown – and you’ve got the Paisa sound [from Medellin], which is where Juanes is from, or Barranquilla, where Shakira is from. Then you have an artist like Fonseca, who was inspired by our band and our use of the accordion when he was just a schoolboy. I feel inspired by all of them and happy to be a part of what they do. 3. Are you just as in love with vallenato today as you were when you first started? Of course. That’s what motivated us to come back. To me, vallenato is like coming home, because that’s the music that I grew up knowing and loving and I’ve always been very proud to sing it. It was out of my love for that folklore that we started reinventing the wheel. They’ve had all sorts of names for our sound – Colombian pop, tropi-pop, vallenato pop – and I’m grateful for all of them because they all describe us in some way or another. 4. How was it working with Brazilian sensation Michel Teló on “Como Le Gusta A Tu Cuerpo,” the second single off your new album? I heard that he picked up the accordion inspired by you! Did he teach you anything? Definitely – he reminded me of something really important, which is that the true value of an artist lies in his humility. Michel is a great human being, aside from being a great artist. He’s got such enthusiasm. I see a lot of myself in him because of the fascination with which he makes his music. I relate to him because I’ve always tried to keep certain qualities alive from my days as a young man starting out. 5. Did the success of your new album surprise you at all? Were you at all worried that it wouldn’t connect with fans after your hiatus? I never really think about that. I am, however, always pleasantly surprised by the people’s love and affection. Of course, you always want things to go well, but I’ve never suffered from anxiety over whether a project will be successful or not. That’s never been my motivation. If you think about it, it’s always been risky for us because when we started, there wasn’t anything like the sound we were proposing. In fact, we were told it wouldn’t work. So we didn’t have any certainty over whether it would connect, we just knew in our hearts that we were staying true to what we loved. 6. What or whom were the biggest influences on this new album? My loves – which are my family and my friends – and my life experiences. Love is always the greatest inspiration. 7. Is it true what your wife said in a recent Billboard cover story, that she left you in Santa Marta [Vives’ birthplace on the Caribbean coast of Colombia] for two weeks and you wrote the whole album? Santa Marta is such a magical place. It’s a place that I naturally just feel good returning to and creating in. I had a lot of songs from all these years that I had written that I could have used on the album, but a lot of those songs I wrote for me, not necessarily for commercial purposes, so when it came time to work on this album I wanted to write new songs. I wanted it to be a very authentic offering – well balanced in the range of sounds – and I ended up writing a lot in a short period of time. But those songs had been sitting there all along, in the deepest part of my heart, which is how the album’s name came to beCorazon Profundo. In a sense, this was an easier album to make than some of my previous ones because I had a lot to draw from. 8. You’ve been a coach on The Voice Colombia. What advice would you give emerging songwriters? Nowadays, you’ve got access to so many great tools and resources for songwriters – so taking advantage of that is very important. And to never give up. If you make good music, there will always be an audience for it. And if there’s an audience for it, there will always be someone interested in backing you and developing you. 9. When you look at your entire 20-year catalog, is there a song that’s closest to your heart? From my own songs [not the traditional vallenato covers], it’s impossible to choose – there are songs I’ve written for my wife, songs I’ve written for my hometown of Santa Marta or the one I wrote for my dear friend El Pive; each song has its story. I wrote “Fruta Fresca” for my daughter Lucia when she was a newborn and we lived in Puerto Rico, so in that song you can hear a fusion of Colombian and Puerto Rican music, which captures a very happy time for us as a family. As an artist you fill your songs with those kinds of experiences and emotions, so it’s really hard to choose. I’m known to sing really happy songs, but I also love the ones with a hint of sadness. On this new album there’s a song called “La Foto de los Dos” (The Photo of the Two of Us), so I always have some attachment toward those sad songs, too. 10. When you were trying to secure a record deal and it just wasn’t happening, what gave you the strength to keep going? I have to say my wife, Claudia. She came into my life during an interesting time and she’s put up with me all these years [laughs]. I am so, so grateful to her because she believed in me even more than I believed in myself, and she worked hard so I could have the opportunity to make this new album. As an artist, you need inspiration, but you also need a great team behind you, overseeing the business side, and she has really been the person overseeing that side of my career, 100 percent. I even owe the fact that I’m now working with Walter [Kolm] to Claudia. I owe it all to her. She is an incredible woman. She’s given me two wonderful children and loves my two other kids [from my previous marriage]. She’s a blessing. You really feel that on the album. This story was originally published in BMI’s MusicWorld Online.